Each year, IEEE Vehicular Technology Society offers five prestigious awards that recognize outstanding Individual accomplishment. Please consider nominating an eligible candidate. 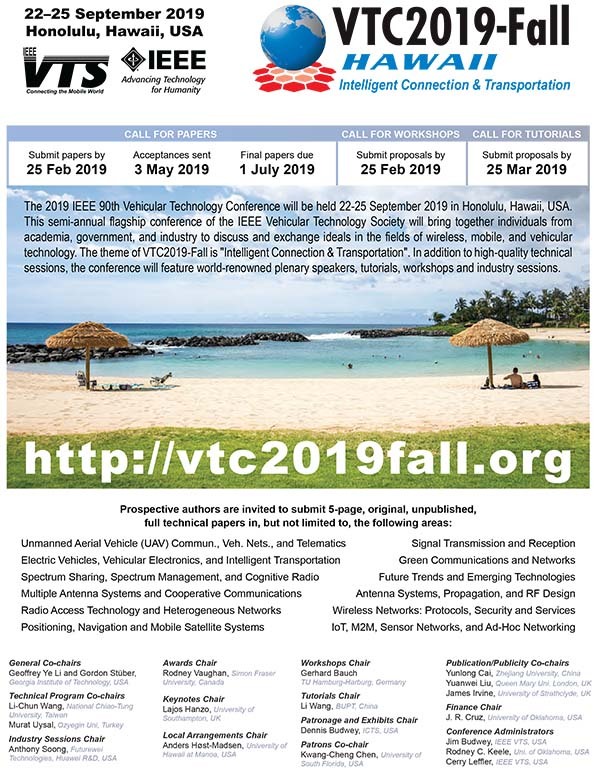 Additional information about the awards, eligibility of candidates, as well as nomination forms are available at the IEEE VTS website. The due date for nominations is 1 April 2019. Outstanding Service Award recognizes outstanding service to the VTS Board of Governors and/or the Society. James Evans Avant Garde Award recognizes leadership and continuing contributions in promoting new technology in the field of Vehicular Communications and Electronics. Early Career Award recognizes outstanding young scientists or engineers who have made relevant contributions to the theoretical, experimental and operational aspects of electrical and electronics engineering in IEEE Vehicular Technology Society fields of interest that include mobile radio, motor vehicles and land transportation. Age restricted to 35 years. 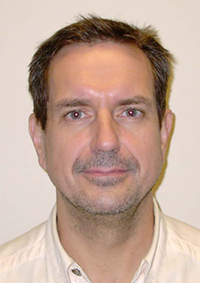 Stuart Meyer Memorial Award recognizes those members of IEEE Vehicular Technology Society who have both served their Society and also have contributed to the development of radio technology and science in an outstanding and exemplary manner. Hall of Fame Award recognizes those individuals whose outstanding and lasting contributions have had a significant impact on the technologies represented by the fields of interest of VTS.